Sheri Golden, PA-C, has been following her passion throughout her career. With over fourteen years of experience, she has a strong technical understanding, which she combines with her calm and confident demeanor and artistic eye. According to Sheri, “Aesthetic medicine is the intersection of science, the understanding of physiology and artistic abilities. 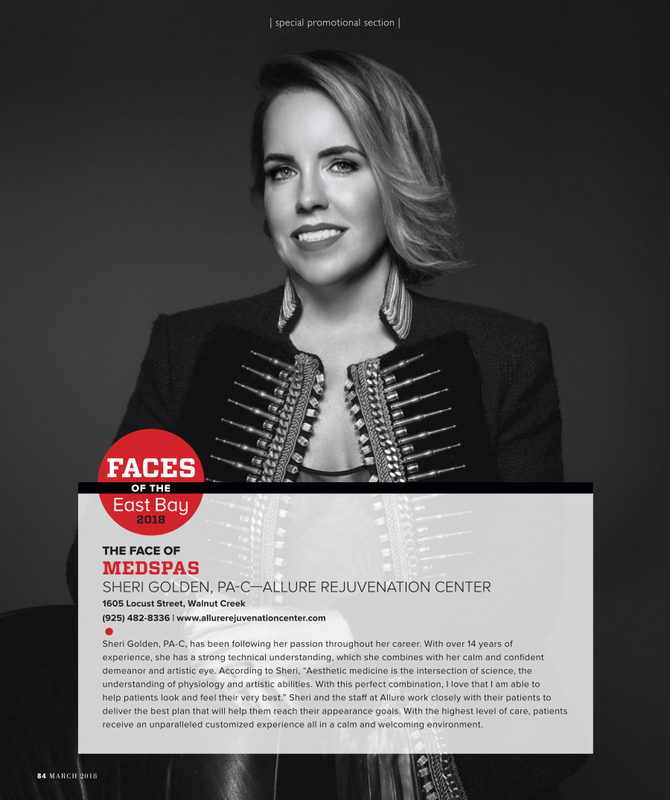 With this perfect combination, I love that I am able to help patients look and feel their very best.” Sheri and the staff at Allure work closely with their patients to deliver the best plan that will help them reach their appearance goals. With the highest level of care, patients receive an unparalleled customized experience all in a calm and welcoming environment.